Do you Need a local Chiropractor in Whitemarsh Island, Georgia? It's important to your well-being to contact an experienced chiropractor as soon as possible after an accident occurs. The experienced Chiropractors at Arrowhead Clinic have been helping car accident victims with their recovery for over 40 years. Waiting too long after an accident to seek chiropractic care can be detrimental to your recovery. Seeing a chiropractor as quickly as possible is your best chance for a fast and optimal recovery. Let our expert Chiropractors help you. We offer a free consultation to see how we can help you. Click the link to schedule an appointment with our Whitemarsh Island Chiropractors today. Chiropractic Care at Arrowhead Clinics is well suited for those who were involved in a motor vehicle accident. Our approach to treatment is gentle, safe and all natural. It is our goal to help accident victims restore their body to its natural flexibility and mobility while at the same time alleviate their pain symptoms. Many of our patients have reported seeing drastic reductions in their acute pain symptoms and inflammation, an increase in neck and lower back ranges of motion, elevated mental clarity and better sleep during the night. One way we help our patients is by not prescribing pain medications but with spinal adjustments and manipulations that are designed realign the spine and promote the bodies natural healing by fixing the cause of the problem and not just masking the symptoms. Our clinic near Whitemarsh Island is designed specifically to help the victims of car accidents with their recovery. 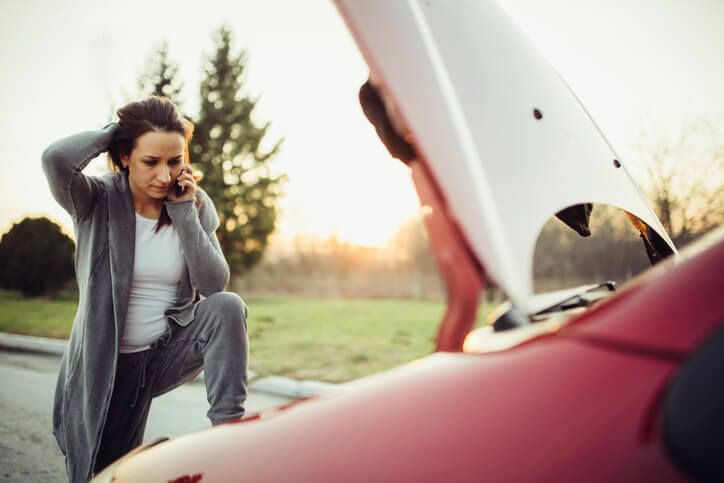 Being involved in an automobile accident will often cause delayed symptoms, and some of the most common injuries that will often come with delayed symptoms are soft tissue injuries. One of the most common types of soft tissue injuries is Whiplash. Whiplash is often described as pain in the neck but it can affect any neural network, including the extremities and down the spine. People who are suffering from these symptoms will often experience reduced quality of life and everyday tasks can become unpleasant very quickly. Chiropractic care can relieve pain and tension caused by a whiplash injury and allow the accident victim to return to their normal lifestyle. What Should You Expect During Your First Visit At Our Whitemarsh Island Clinic? In preparation for your Free Chiropractic Consultation, our doctors will ask you to complete forms that provide us with background information about your medical history and the symptoms that you are currently experiencing. Our Doctors will establish specific goals that are based on your X-ray and Exam Findings that will help us prepare your individualized treatment plan. When you become injured in a motor vehicle accident, it is very important to seek the help of an experienced chiropractor as soon as possible. At Arrowhead Clinics, we have a team of professional doctors who specialize in treating car accident victims. We have the training and skills to help each patient receive the treatment that they need to make a full recovery. It's important to act quickly after a car crash occurs, do not jeopardize your health by waiting to seek medical treatment. Click the link below now to schedule a free consultation with our experienced Whitemarsh Island, GA Chiropractors today. Whenever I visit my parents in Bluffton, I schedule a massage with Donna Canipe. She's very in tune with where your body is at and truly customizes her massage to give your body exactly what it needs. It's the perfect "refresh" massage. Highly recommend!